5-Pack of Ink Cartridges: Medium point ink cartridges. Easy ink cartridge removal and insertion. 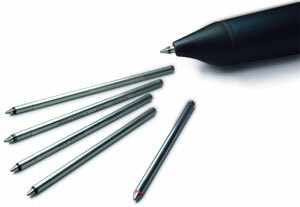 4 medium point black and 1 fine point red.